Last night, my daughter and I ventured out to cross night biking off our summer bucket list. We headed to an old trestle train-track bridge that’s been turned into a bike path. The design of the bridge gives the illusion that you are riding into spiraling rails as you fly over the expanse of the river below. It’s worth the trip during the day, but in the evening, there’s the added drama of lights. Although I wasn’t in the mood this particular evening, I’ve learned in my crash course on parenting a teen that the moments of connection and initiative coming from a teenager can be few and far between. So I rallied and got the bike carrier onto the car, and we were off. Seizing opportunity is something that I understand now that I’m nine months into life with a teenager whom I will legally adopt in the near future. I’m not sure if I can pinpoint the moment when jumping into fostering as a path to adoption as a Solo Mom became inevitable. Adoption has been in my heart for as long as I can remember. Finding myself well past 30 and without a partner, I discovered I was ready to pursue my own path toward motherhood and became a licensed foster parent. In many ways, I knew that I would be well suited to this calling. At other times, I wondered if I was crazy. Initially, I did not realize that adoption from foster care was a possibility. I was drawn to explore foster care because the permanency of adoption was a bit scary. My biggest fear was that I wouldn’t be able to handle it and lacked the right support. I also knew that it might end up being a lonely path. I quickly learned that although the goal of foster care is reunification, thousands of children who are legally free for adoption are waiting, and many will age out of the system without a forever family to call their own. However, foster care to adoption is not for the faint of heart. As I cycled behind my girl and reflected on our journey together, I distilled some analogies to biking that might be helpful. 1. Get ready and be prepared. 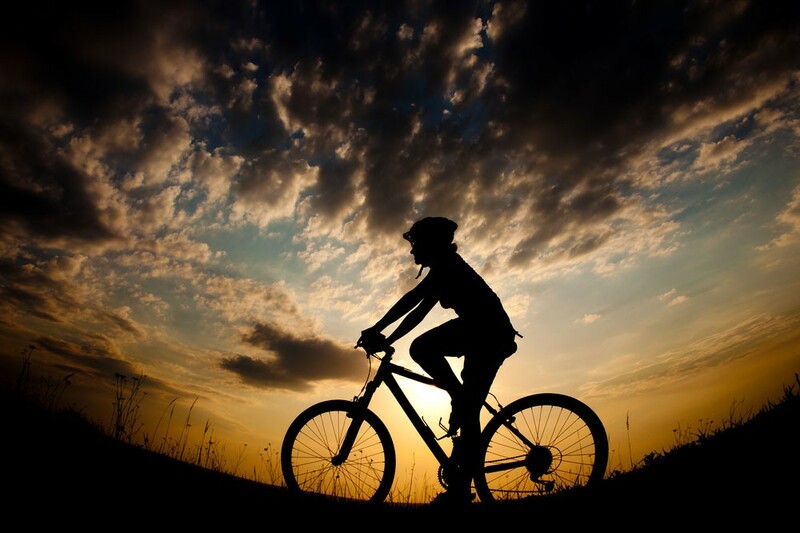 Just like going out on a bike ride involves a certain amount of risk, it is helpful to be prepared about the possible challenges and experiences you might find along the path. I read a lot before accepting a placement—enough to freak me out but also give me a realistic view. I also didn’t rush the process. It was more than a year between my licensing and finally accepting a placement. This was probably frustrating to the Department of Social Services, but as I have now watched many families accept and then disrupt a placement, I had no intention of becoming anything other than a last stop for a child in the system. Until I got the call about my daughter and heard the still small voice inside of me urging me to move forward, I continued to wait and prepare myself until I felt confident that I had the information and resources to meet the needs of the child being presented. 2. Put on your safety gear. I’m a person of faith, and the older I’ve gotten, the more I realize the importance of beginning each day with some quiet time for meditation and prayer. Parenting is hard work. Parenting kids from hard places is harder. The more you are aware of your own limitations and weaknesses (as well as strengths), the better you will be able to help your child and whatever behavior you are presented with. 3. Eventually, you have to start moving. Take water and snacks. Change direction when necessary. Start moving. I found myself often going against my instinct to give my girl access to the snacks she wanted that were not always the ones I knew were good for her or the ones she needed. I quickly realized that food was a huge area of control for my girl, and I could either make it a battle or back off. The less I have made it a battle, the better choices she continues to make. She loves strawberry shakes, but for most of the summer, she has often passed on the shake and started opting for the smoothie. That said, however, never feel guilty about stopping for ice cream. Eat lots of ice cream. 4. Help will come when you need it. Use your phone if necessary. Once you are on the road, things can happen even if you are prepared. Help will come. The other night I discovered my girl had been riding around with her brakes not set properly. I looked at it and couldn’t figure it out and then a more experienced biker came along and was able to fix it and give us a few pointers. Have a list of friends to call when you need to be lifted up. More than once, the right friend with the right words at the right moment has changed my perspective and reframed things for me when I really needed to reset. You never know what you will find. Once my daughter decided that we should go off the paved path and follow a dirt path along the river. It was an adventure that ended with my road bike finally protesting and refusing to carry me any further through the woods, but we saw parts of the river we never would have seen on our regular course. Sometimes I’ve had to change course when the direction that we were on wasn’t working. Sometimes the path gets a little bumpy; however, with time and perseverance, we’ve come through stronger and more connected. The path isn’t always smooth, but I keep moving, even if I have to change direction. I am learning to appreciate the small connections as they occur, and my love for this child who is not of my flesh is growing. Finally, at the end of the day, ice cream always makes things better—especially after a long and hard bike ride. Carry on, Solo Moms. Enjoy the ride.